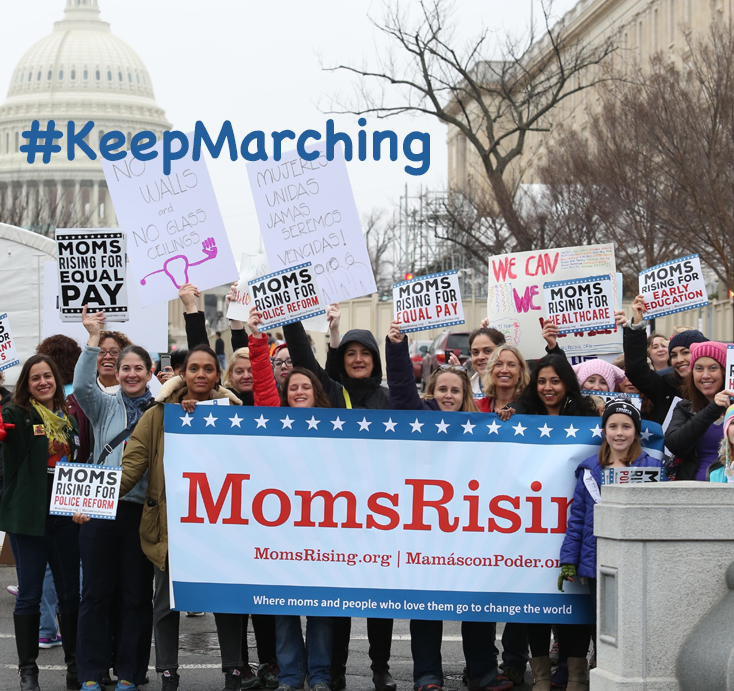 When you sign up to be a #KeepMarching Circle Leader, you get to join an exclusive, closed Facebook group, where you will have more direct and immediate access to MomsRising staff, who will be on hand to support your advocacy leadership. You will join a network of other #KeepMarching Leaders across the country to be able to discuss projects, share ideas, and get support. If you're looking for actions, you will be among the first to know about MomsRising's activities across all our campaigns and how you can make a difference.